Communications service providers (CSPs) make considerable investments in the infrastructure required to deliver the different types of services they offer. Once the infrastructure is deployed, it requires constant monitoring and testing to ensure everything is working properly and to identify problems before services are interrupted. The new FTB-4 Pro platform from EXFO has the industry's smallest form factor, with the flexibility, scalability and power needed for testing high-speed optical networks, data centers and R&D labs. Having the right test orchestration and performance intelligence solution not only ensures a smooth deployment, but it also makes it much easier to maintain and manage the complexities of next-generation, physical, virtual, fixed, mobile and optical networks. 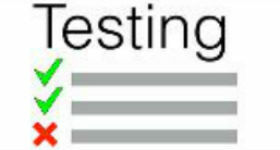 The testing technology developed by EXFO combines intelligent, automated and cloud-based test and monitoring solutions with real-time analytics to give CSPs end-to-end visibility and assurance across all levels, including the network, services and end-user. With this type of visibility, operators can identify issues before they affect the entire infrastructure so they can deploy technicians to fix the problem. And in the past, the testing devices were large and cumbersome, which made it difficult to perform tests at locations that were hard to access. virtual private network (VPN). The platform is loaded with tools to maximize field testing with a quad-core processor, Windows 10 operating system and a 10.1 inch touchscreen with a UI that lets field technicians access everything they need. The EXFO connect-compatible technology has automated asset management that allows data to go through the cloud and into a dynamic database. The FTB-4 Pro can perform 100G testing applications, ROADM and PTN turn-up testing, Gigabit/10 Gigabit Ethernet configurations, ROADM commissioning, Multiservice testing, 10M-to-100G Ethernet testing, Fiber Channel, Fiber characterization and troubleshooting, FTTH testing and Pol-Mux spectral testing. “Today's high speed networks require testing solutions that are powerful enough to handle the massive rollout of high speed links. The FTB-4 Pro delivers the processing power of a high-end platform in the industry's smallest form factor for 100G commissioning, turn-up and troubleshooting. Its ability to support a wide range of modules makes it our most versatile platform,” said Stephane Chabot, EXFO's Vice-President, Test and Measurement. As CSPs adopt new network technologies that are more complex, testing is becoming even more important to ensure availability and reliability. Being able to deploy technicians quickly with the new EXFO FTB-4 Pro to perform all tests quickly and accurately cuts costs, saves time and keeps the network up and running.